Adequate estate planning can help prevent the problems and family squabbles that often happen after the death of a family member. When no will is left to divide property or an inadequate will is left behind, beneficiaries are left to pick up the pieces and families can be torn apart. 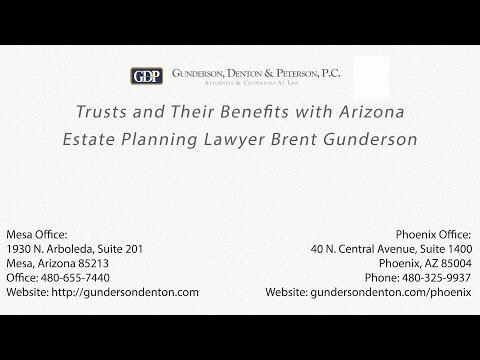 Hiring a Phoenix estate planning lawyer will ensure that the wishes of the decedent are carried out. 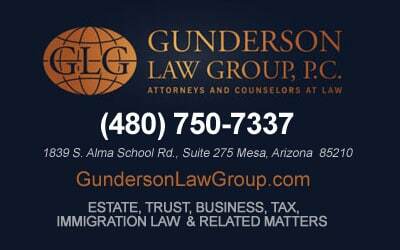 Similarly, it is not uncommon for people residing in the U.S. to have family members and businesses or assets in other countries. 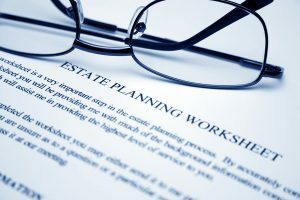 Federal estate laws and gift tax issues are very different for non-residents and an attorney who specializes in estate planning and can navigate through the tax regulations and exemptions is imperative in international estate planning. Assistance to the beneficiaries in the disposition of the assets. Deciding whether a last will or a trust is best for your estate planning interests depends on your specific circumstances. While a living trust makes sense for some, wills are just fine for others. Although never exclusive, general rule is that the larger the value of the estate, the more benefits there are to creating a trust and not just a will. A trust (although there are different types) is a written legal document that places ownership of your assets in the trust. Some trusts allow the assets of the trust to continue to benefit the creator of the trust while still alive. Upon death, the trust is then transferred to chosen beneficiaries. Rather than using the court probate process like a will, upon death or incapacitation, the chosen representative (Successor Trustee) then manages and distributes the assets in the trust according to the trustor’s specific instructions. On the other hand, a will is a written legal document with a plan of distribution of the assets upon death that takes place through the court probate process. The executor, as named in the will or as appointed by the court, oversees this process, and notably, nothing in the will takes effect until after the death of the maker of the will. Another big difference between a trust and a will is the level of privacy. A trust is private and not generally made public. Conversely, a will is a public record where all may view the transactions and distributions. There are several benefits to a trust over a will. First, a trust is transferred without the probate process. It is thus faster and leaves less potential for mistakes and disputes. The probate process generally takes between six and twelve months, and if contested, could take longer and cost the estate money to resolve it. When using a trust, there are fewer disputes on how to manage and transfer the estate. Dealing with out of state property is also troublesome with a will, requiring the probate court to determine and apply the correct law. A trust however, avoids this process altogether by allowing the trustee to manage and distribute the assets in the trust according to the instructions laid out. Choosing to create a trust could also save you money, depending on your financial situation and the size of your estate. Drafting a trust is more complex, and therefore tends to be more expensive than a will. Although the cost to draft a trust is more expensive than a will, the trust can save your estate money at the time of your death when distributing the assets because there will be no court costs for probating your will and dealing with contestations. Note that for people with simple estate plans and for young married couples with no children or significant assets, a living trust is probably not financially beneficial. Another benefit of a trust is the appointment of a trustee to oversee the assets in your trust. If the beneficiary of an asset is incapacitated or is a minor, because a trust already has someone assigned to take care of the assets and distribute the assets according to the instructions in the trust, as long as the asset itself is not being distributed to the beneficiary, the court does not need to assign conservator to manage the asset. The court may assign someone to help manage money distributed to the minor or incapacitated beneficiary from the trust, but only the trustee will manage and distribute the assets owned by the trust. Whether a trust or a will is best for you is entirely based on your individual situation. The benefit of creating a trust must be balanced with the additional cost necessary to create a trust. As always, it is best to counsel with an experienced attorney. 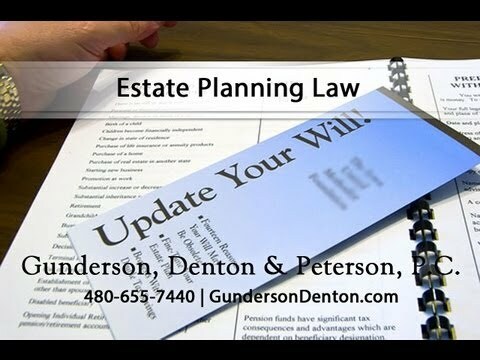 Our attorneys at Gunderson, Denton, and Peterson PC can assist you with your estate planning needs.